We exist to raise awareness for traumatic brain injuries and other disabilities and bring change to the lives of those we serve in our community. With your help we can make a difference. Our website furthers our mission by providing ways for you to learn more and get involved. Thanks for visiting Bridges for Brain Injury, Inc. Your support is appreciated! JonAt 20 years old, Jon was assaulted from behind, resulting in a closed head injury that brought on seizures. Following his injury, he became insecure, fearful and did not like to go out in the community. He wasn’t sure at first about becoming involved in Bridge’s day program. His first few days were spent alone from his peers with a hood over his face, in a corner of the room. But he soon became interested in the conversations and activities going on around him and slowly began getting involved. Today Jon attends program daily, helping with the care of the animal ambassadors, and speaks to thousands throughout New York at schools, community events, nursing homes and to youth groups about brain injury prevention and conservation practices! “Bridges has given me the chance to be a better person. I love that I get to teach children about animals. They have helped me to overcome my fears”. Click Here To Purchase Your Perfect Gift! These earrings are made from the quills dropped by our African Crested porcupine, Bridgett! Each set of earrings are pre-made. If you have a preference for bead color, please let us know. Your purchase supports the Wildlife Rockstar Wildlife Education Outreach program and the brain injury survivors and people with disabilities who participate in this program. Click above to go to our Facebook Shop to purchase your gift today! Thank You Gannett and Wayne County Community Endowment Foundations! We are grateful to the Gannett Foundation (Press & Sun Bulletin) and the Wayne County Community Endowment Fund for supporting adaptive horseback riding lessons to our program members! Without this funding our members would never have the opportunity to learn about the care of horses and to experience riding a horse. for many, the first time in their lives! Adaptive horseback riding, or also known as Hippotherapy, is well known to help individuals suffering with the debilitating effects of brain injury and related disabilities to improve their physical, mental and emotional quality of life. The Gannett Foundation helped provide Hippotherapy to 10 program members from our Elmira program and the Wayne County Community Endowment Fund helped provide Hippotherapy to 10 program members from our Farmington program. Reserve Your One of Kind Wildlife Encounter Birthday Party Experience! 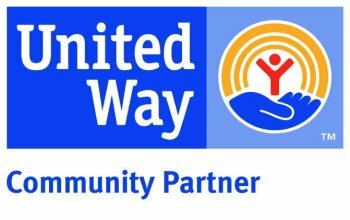 This fully integrated program housed at the RMSC’s East Avenue location provides our members with a “one-of-a-kind” opportunity to contribute to the community while working on goals that will prepare them to take the next step in their rehabilitation and even prepare them to join the workforce. 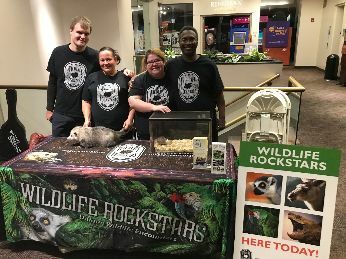 You can see the Wildlife Rockstars at the museum sharing interesting facts about our animal ambassadors on Wednesdays, Fridays and Saturdays! 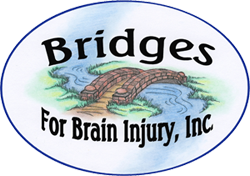 On June 2nd, 2018 Bridges For Brain Injury reached our 10th Year providing quality services to brain injury survivors and people with disabilities!! Thank you to all the consumers that have come through our doors, sharing your lives with us and trusting us to provide you the best service to help you achieve your goals! Thank you to our Employees, we could not do what we do without their hard work and passion! Thank you too to our Board of Directors for guiding Bridges through the years and always focusing on what is best for those we serve and our employees! Lastly but not least, Thank you to all our supporters, those of you who donate your time, your suggestions and ideas, products/services and funds that help us continue to expand on our programming and services! A brain injury can happen anytime, anywhere to anyone. Brain injuries do not discriminate. An injury that happens in an instant can bring a lifetime of physical, cognitive and behavior challenges. Brain injury is a leading cause of death and disability in the United States and is more common than Breast Cancer, HIV & AIDS, Spinal Cord Injury and Multiple Sclerosis COMBINED! 5.3 million people live with a life-long disability as a result of a Traumatic Brain Injury (TBI), with many unable to live independently without supports. Early and comprehensive care can greatly improve outcomes. Our services and programs allow brain injury survivors and people with disabilities the dignity of living more independently, while preventing them from being inappropriately placed in nursing home, institutional settings or from becoming homeless. We invite you to purchase an engraved brick to honor family members, friends, or the memory of a loved one. This is also a wonderful opportunity to recognize a Bridges' day program member and consumer! The bricks you create will become a walkway and patio be on display near our day program entrance where they will be enjoyed by our staff, visitors and program members every day! Proceeds from the brick sales will help to support our one of kind programs! Serving the Finger Lakes, Rochester and Southern Tier Regions! Your donation helps to support our one of a kind programs!